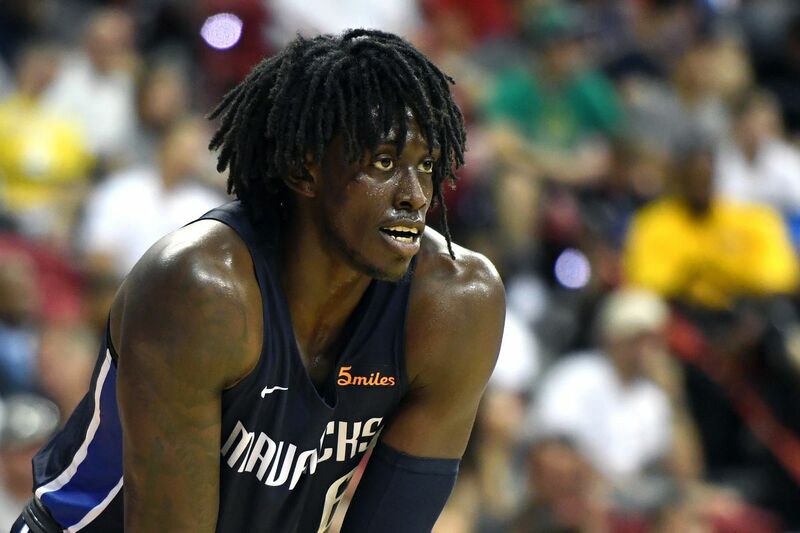 People are rather quick to surmise that Johnathan Motley’s journey to the National Basketball Association (NBA) league has been an interesting ordeal. Why is this so and how do they come to that conclusion? Let’s find out together, shall we? He was born on the 23rd of May, 1995 in Houston, Texas. Like other basketballers who have made it to the NBA, Motley began playing this handball game in high school. When he moved on to college, he played for the Baylor Bears where he got the nickname – Big Man. After two years of experience in college basketball, he declared for the NBA and hired an agent, putting an end to any chance he had of returning to college. But then, a meniscus surgery he had to undergo made it impossible for him to be drafted into the NBA. As fate would have it, Johnathan Motley was subsequently offered a deal that saw him become the first basketballer to ever ink a two-way contract with the Dallas Mavericks and it’s G-league affiliate, Texas Legends. The following are the things one ought to know about the American professional basketball player. Jonathan Motley hasn’t always been a Big Man. When he started playing basketball in his seventh grade, he was small and skinny. It is said that he couldn’t even fit into his Jersey and was always trying to hold up his shorts while running around in the court. Motley nearly embraced death during his junior year in 2011 when his appendix ruptured. He collapsed in the court and spent three weeks at the Texas children hospital. After a series of Antibiotics treatment, he recovered fully and returned with renewed energy. A lot of college coaches started picking interest in Johnathan Motley immediately after his Junior year at high school, this is because he became a top 100 recruit. He committed to Baylor instead of schools like Texas and SMU (Southern Mississippi University) because he wanted to be in the same state as his Mother, Willie Motely. He wanted her cheering and supporting him in every game. In his freshman year, his coach redshirted him in order to give him time to put more work on his lean body, gain more weight, and adjust to the rigors of college routine. Adding weight increased Jonathan Motley’s athletism and endurance. These were some of the factors that helped him lead the team to their very first number one ranking during the 2016-2017 season. After his junior year in college, Jonathan declared for the NBA. He later took on an agent thus barring any contingency of returning to Baylor. It was predicted that he would be picked in the second round of the 2017 NBA Draft but due to his torn Meniscus cartilage which required a surgery, he went undrafted. Motley made the best of his situation when a two-way contract with the Mavericks of Dallas and their G league Team, Texas Legends came up. He was required to play for both teams and he didn’t hesitate to jump on the deal. Motley was the first to sign such a deal. Notwithstanding, he was traded to the Clippers for Maarty Leunen. Right from his high school days, Johnathan Motley has been a fine basketballer and this has earned him a handful of coveted accolades. While he made the 2016 All-Big 12 Third Team, 2017 saw him bag the Karl Malone Award. He was named in the 2017 All-American Consensus Second Team and as well the All-Big 12 First Team of the year. That’s not all, Johnathan was named in 2018 All NBA G League Second Team. Jonathan Motley isn’t called “Big Man” for nothing. He is 10 inches taller than 6 feet (2.08 m) and weighs 230 lb (104 kg). Truly, he is a big man and for someone his size, he has displayed remarkable athletism, speed, and agility. This basketballer was single-handedly raised by his mother, Willie Motley. The bond between mother and son is inseparable as Jonathan refused offers from different colleges to be close to his mother. He planned to reward the woman for her support when he gets drafted to the NBA, but his dreams are yet to be actualized.